What would Valentine's Day be without long stem roses? 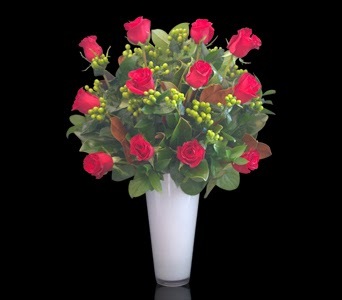 These premium long stem red roses are elegantly designed with magnolia leaves & hypericum berries in a white glass vase. Browse all of our Valentine's Day arrangements.